Why spend money on a card that someone throws away!? Our handcrafted & engraved wood cards come with a holder and they can be nicely placed on a shelf or desk as plaques. 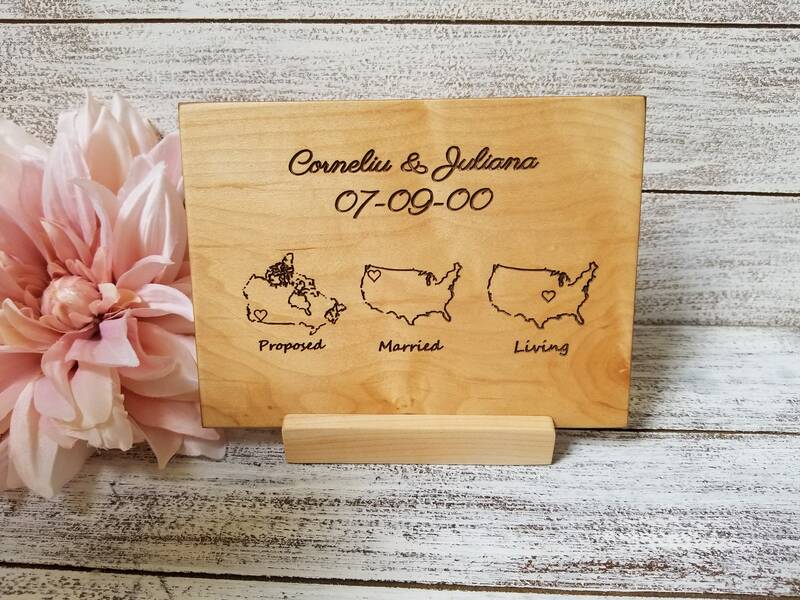 It is sure to bring a smile to her or his face each time they see and read this beautifully made and custom engraved card / plaque. Want something else engraved on it? Just contact us we love custom orders. Size: 6 inch long x 4.5 inch wide x 3/8 inch thick.